Julie Dibens is a multiple world champion triathlete with over 15 years of experience racing as professional. Her career highlights include being the 70.3 World Champion in 2009, and being a 3 time Xterra World Champion in 2007/2008/2009 and a 3rd place at the Ironman World Championships. Prior to racing middle and long distance triathlons Julie also completed for many years on the ITU circuit and is a 2 x Olympic team member. Julie retired from professional triathlon racing in 2014 and turned her energy towards coaching full time. She now coaches a great group of athletes ...the JD crew...based in her adopted home town of Boulder, CO. While most of her athletes are racing professionally, she also works with highly motivated and disciplined athletes of all abilities. She has been coaching on and off since 2006 where she helped set up a small triathlon coaching company in the UK Driven to Tri. Your training plan will be 100% personalized to your needs as an athlete taking in to account your every day life and needs. Meet Julie and her assistant Lucky for a 1-2-1 session to work on any technical aspects of training or racing. Much like the training plans this can be totally customizable to your needs. If you are looking for a coach to lead a small group training day or training camp contact Julie. She might be able to help! Especially if you are interested in coming to training in the triathlon mecca of Boulder, CO. Interested in just picking Julies brain or asking her for some advice on training or racing related issues...then best way to get her sitting down is to bribe her with cookies. As a pro triathlete who has been around the block a few times, so to speak, I’ve had the privilege of working with a few different coaches in my career. I’ve worked with coaches who are like mad scientists. They dissect every watt and every heartbeat and coach to what the numbers say. I’ve also worked with coaches who focus more on the heart, the mind and pure passion. In Julie, I have found a combination of the two. With a background in Kinesiology and Exercise Physiology, Julie certainly “knows her stuff”. She continues to be curious about the science of human performance and from what I’ve witnessed, is constantly searching out new tools to help make herself a better coach and, in turn, make us better athletes. A lifelong over-achieving athlete herself, Julie is keenly aware that behind every athlete is a person. There is an art to coaching that goes well beyond wattage, splits and heartbeats. Julie has a unique ability to cater her extensive knowledge base to suit each athlete individually. Caitlin Snow is a professional triathlete with many Ironman and 70.3 podiums to her name, most notably a win at France and Lake Placid IM, still holding the course record with a 2:52 marathon. Her love of triathlons started a child and progressed to NCAA championship, U23 ITU, before hitting up the big guns of Kona, including four podium finishes on the Big Island. She is a passionate athlete and person, hitting all she does with the force of a roaring lion. This same commitment to excellence seen in her own life naturally comes into her athlete relationships ensuring you get the best out of yourself with a carefully planned and personalized program - no stones left unturned. Katie Kyme is one of the newer members of the Boulder crew, but has a long history with the sport of triathlon ever since watching Kona broadcasts as a young child with her brother in their living room in sunny Sydney, Australia. 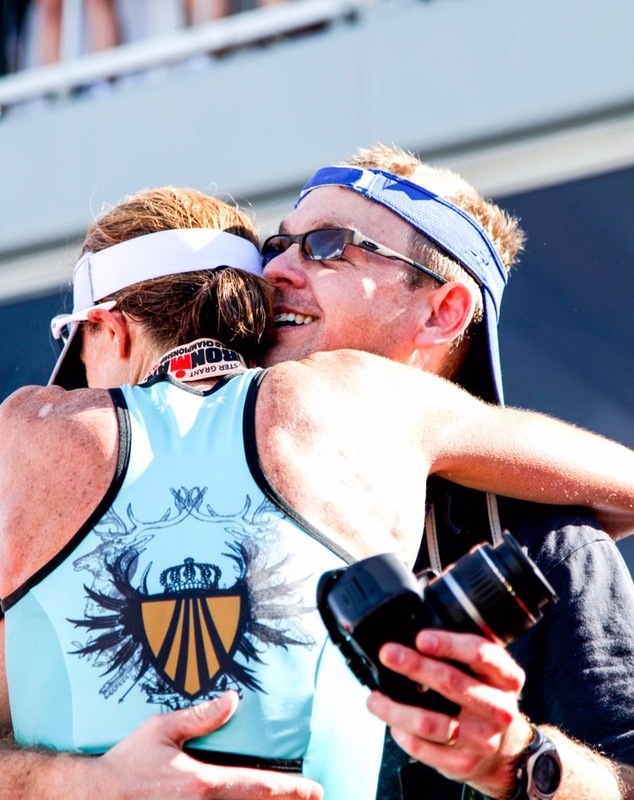 She completed, and won, her first triathlon in Wagga Wagga and that was the turning point: coming from a running family and swimming background, she immediately ditched those for the love of the Multisport arena. Fast forward to 2018 and Katie has been undefeated at 70.3 with five AG wins, taking a second regional championship at St George 70.3. She finished the season off at Kona and now has taken her pro card for 2019. Interestingly Katie is often the team cook at training camps, specializing in Nutella cookies, and her scones won the Grand Champion ribbon at the Easter Show. In keeping with the theme of the group, Katie is a passionate and dedicated athlete and coach.